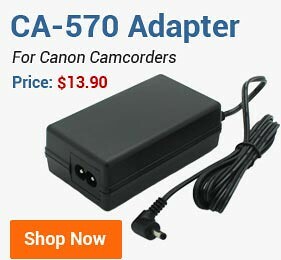 NEW Canon CA-570 Replacement Camera Camcorder AC Power Adapter! Two-year Warranty! Canon BP-808 Intelligent Replacement Li-Ion Rechargeable Camcorder Battery! In Retail Package! 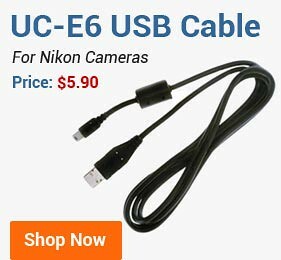 New BP-828 Intelligent Li-Ion Rechargeable Battery for Canon VIXIA HF G30, G40, XA20, XA25, XA35 Camcorders! Canon BP-809 Intelligent Replacement Li-Ion Rechargeable Camcorder Battery! In Retail Package! NEW High Capacity Canon BP-975 (7900mAh) Li-ion Rechargeable Replacement Camcorder Battery! In Retail Package! NEW Canon CG-800 Equivalent "Smart" Charger Kit for BP-807 BP-808 BP-809 BP-819 BP-820 BP-827 BP-828 Rechargeable Camcorder Batteries! 2-Year Warranty! Canon BP-819 Intelligent Replacement Li-Ion Rechargeable Camcorder Battery! In Retail Package! Canon BP-827 Intelligent Replacement Li-Ion Rechargeable Camcorder Battery! In Retail Package! 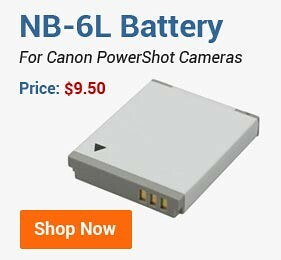 NEW High Capacity Canon BP-955 (5600mAh) Li-ion Rechargeable Replacement Camcorder Battery! In Retail Package! 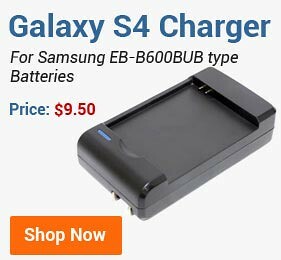 Dual Channel LCD Battery Charger for Canon BP-709, BP-718, BP-727, and BP-745 Camcorder Batteries! 2-Year Warranty! New BP-820 Intelligent Li-Ion Rechargeable Battery for Canon VIXIA HF G30, G40, XA20, XA25, and XA35 Camcorders! 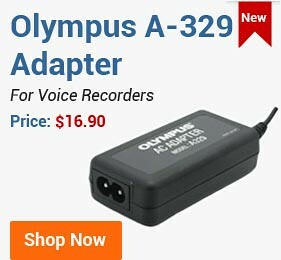 NEW CA-930 Compact Power Adapter for Canon Cinema EOS Cameras and Professional Camcorders! 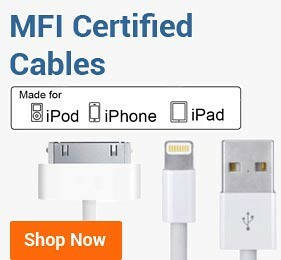 Two-year Warranty! Dual Channel LCD Battery Charger for Canon BP-955 and BP-975 Camcorder Batteries! 2-Year Warranty! 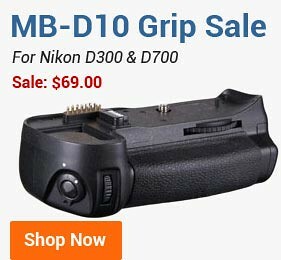 Dual Channel Battery Charger for Canon BP-807, BP-808, BP-809, BP-819, BP-820, BP-827, and BP-828 Camcorder Batteries! 2-Year Warranty! 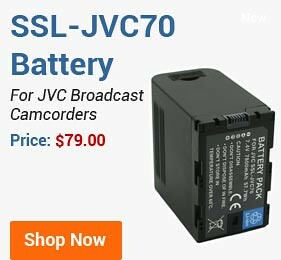 NEW High Capacity Canon BP-970G BP-975 (7200mAh) Li-ion Rechargeable Replacement Camcorder Battery! In Retail Package! 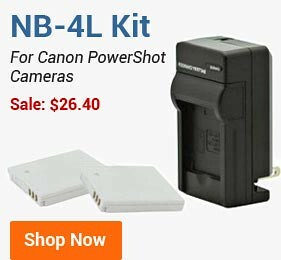 NEW Complete "Smart" Charger Kit for Canon BP-950G, BP-955, BP970G, BP-975, and BP-925 Li-Ion Rechargeable Camcorder Batteries! 2-Year Warranty! NEW High Capacity Canon BP-930 BP-927 BP-924 Li-ion Rechargeable Replacement Camcorder Battery! In Retail Package! NEW High Capacity Canon BP-945 BP-941 Li-ion Rechargeable Replacement Camcorder Battery! In Retail Package! 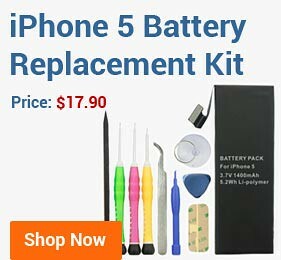 NEW Complete CB-910 CH-910 Equivalent "Smart" Charger Kit for BP-911, BP-914, BP-915, BP-924, BP-927, BP-930, BP-941 or BP-945 Rechargeable Camcorder Battery! 2-Year Warranty! NEW High Capacity Canon BP-950G (5200mAh) Li-ion Rechargeable Replacement Camcorder Battery! In Retail Package! Dual Channel LCD Battery Charger for Canon BP-911, PB-914, BP-915, BP-924, BP-925, BP-927, BP-930, BP-941, BP-945, BP-950G, and BP-970G Camcorder Batteries! 2-Year Warranty!